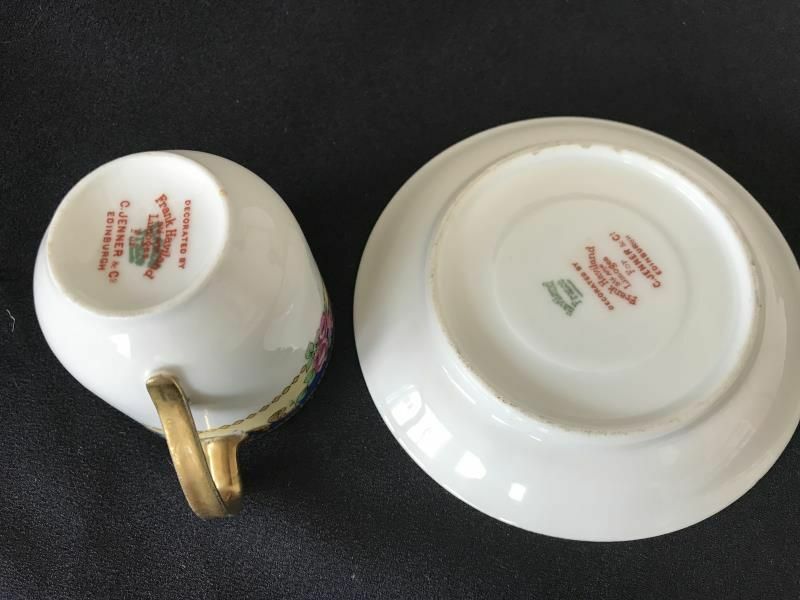 Made for the retailer C Jenner Edinburgh, and marked as FRANK Haviland. Rich yellow ground with navy cartouches draped with roses and with orange scrolls and diamonds. 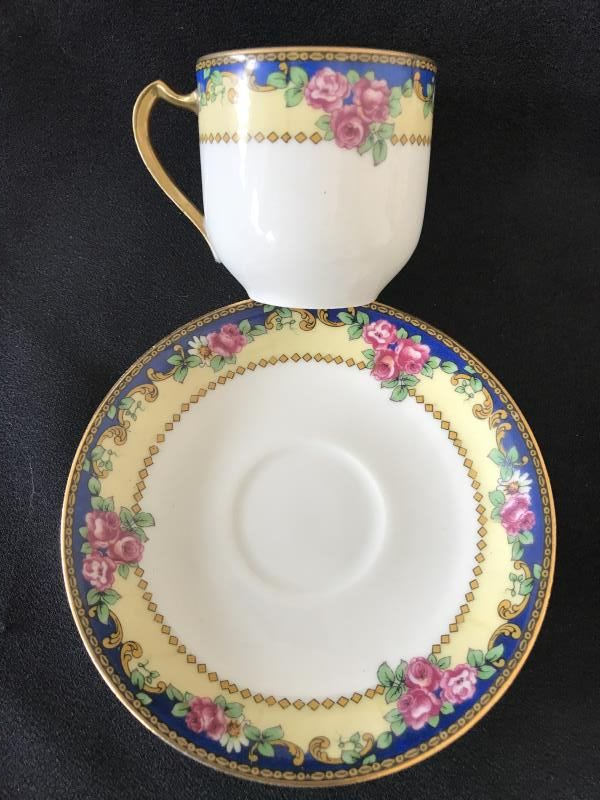 Gilt pinched loop handle. 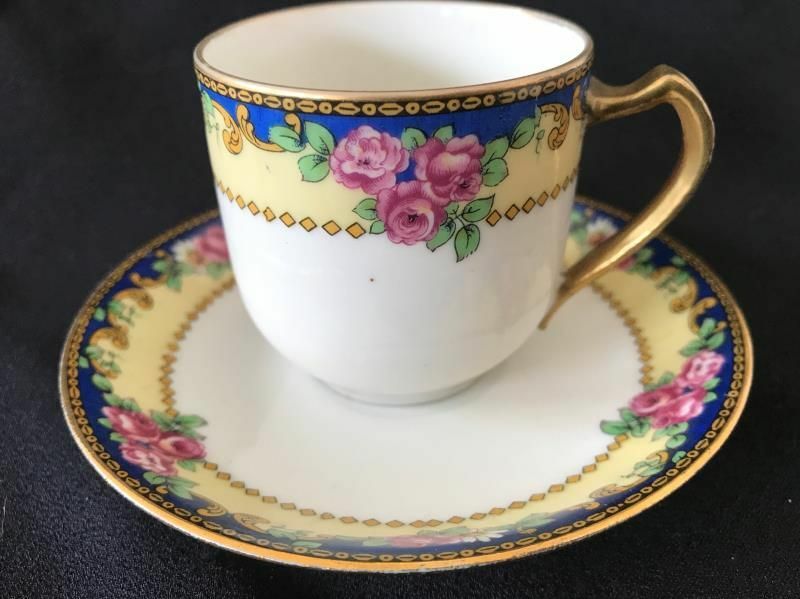 Cup approx 2 1/4" x 2 1/4" and saucer approx 4 1/4"